Turkish coffee has a very different type of preparation than the classic European coffee. The drink retains all its best aromas, taking on more pronounced qualities in terms of taste or smell. 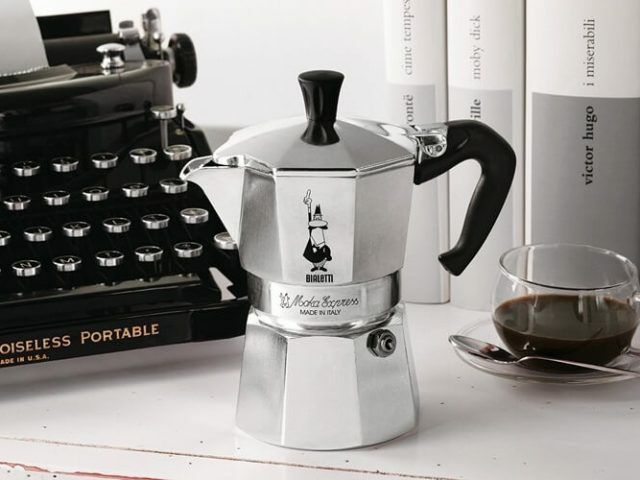 To prepare oriental coffee, you need to use a special tool, which the Turks call Cezve or Ibrik. The latter is usually made of heat-resistant metal, generally brass, and has an elongated shape. A small container in the shape of a small glass is connected to an elongated handle. Usually, the extreme part of the handle is made of a material that does not absorb heat and that, despite the fire, remains cold. This way you can handle the Ibrik even after it has been in contact with the fire for a long time. Let’s learn together how to make Turkish Coffee with a french press, thanks to this video from the guys at European Coffee Trip. The video recipe is presented by Turgay Yildizli, who is the 2013 World Ibrik/Cezve Champion. Choose coffee beans. The best coffee beans for Turkish coffee are the mocha, java and Viennese beans. Even the less oily Arabic beans are a good choice. Grind them very fine. They should be as fine as cocoa powder. You can also use the already processed coffee powder, but it will not be as fresh, of course. 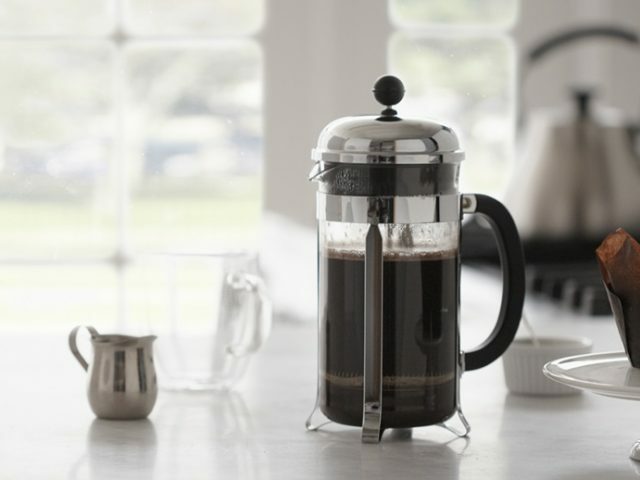 Put about one teaspoon (7 g) of ground coffee into the cezve for every 70 ml of coffee. Add the sugar according to your taste and a Turkish cup of cold water for each cup of coffee you are preparing. Mix well with a fork or thin whip, if you have one. Make a movement as if you were slamming eggs. The fork is better than the spoon to mix the coffee powder in the water. Put the cezve pot on low heat. Slowly bring the mixture to the boil. Do not mix. The lower the fire, the better the coffee will be. Don’t lose sight of him; look at him as he heats up. Be careful when the foam will start boiling and transfer it to the cups with a teaspoon as it forms. Then, when the froth rises to the edge of the pot, toggle it out of the fire and pour the coffee into the Turkish coffee cups. Turkish coffee cups are smaller than coffee cups. Use normal cups if you don’t have Turkish cups. For a frothy coffee, move the foam into the cups with a teaspoon as it forms. Then put the cezve back on top of the fire and repeat the operation twice before pouring the coffee into the cups. In general, the addition of extra spices depends on the places where the coffee is made. Thus, in some areas of Turkey, a drop of milk can be added to coffee. In other areas, oriental coffee becomes a “ristretto”. You boil half of the water, and then add a predetermined amount of coffee until it is ready. From tradition to tradition, cardamom and milk can be added to Turkish coffee. Although cardamom is the most frequently used spice, there is a list of other spices that people like to add to coffee. They tend to add a particular taste, to emphasize the characteristics, or simply to give a different, more pleasant smell. Some of these spices are boiled together with water to prepare coffee. Other times, spices are added to the beverage once the preparation is finished. you can add it just before drinking the drink. In all 3 cases, it is possible to have a drink with different characteristics. Turkish Coffee should NOT be served to people immediately after preparation. 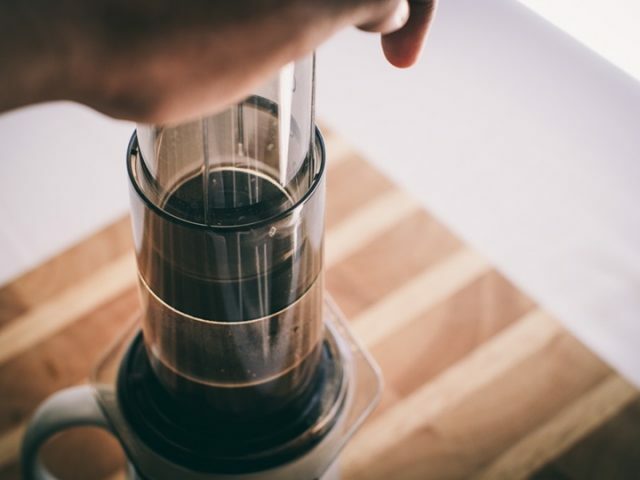 When the beverage takes on the typical connotations of a liquid similar to a syrup, it takes a few minutes for the coffee sediment to settle on the bottom of the cup. If you drink the beverage too early, you may not taste the full flavor of coffee, but you may drink the liquid together with the sediment. 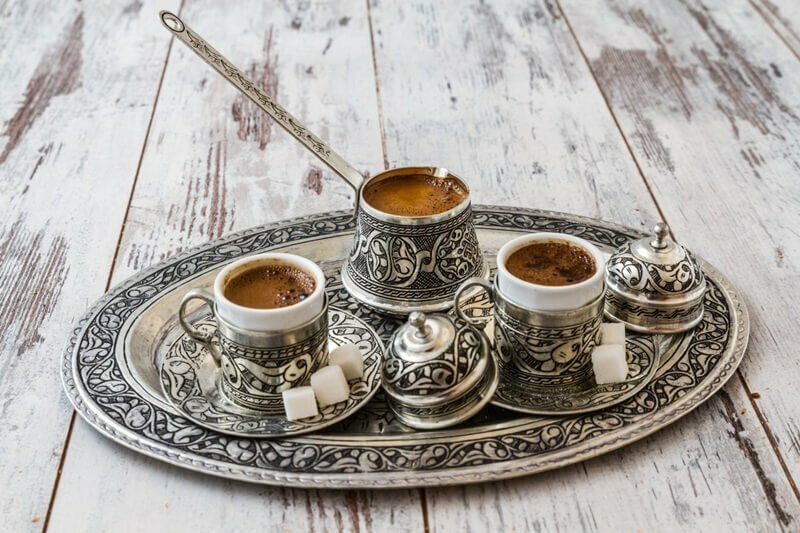 In Turkey, serving the beverage too quickly is the most serious mistake that can be made when preparing a Turkish coffee. Decanting the beverage is an integral part of the preparation procedure. Divinatory rituals can be carried out on the sediment of the coffee thus prepared. The sediment forms the particular figures on the bottom of the cup. The oriental diviners read the forms of sediment preaching the future to the person who drank coffee. This particular practice is still quite successful in the Turkish population. 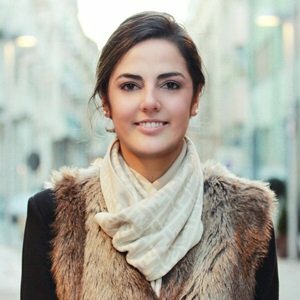 The practice, called Caffeomanzia, is handed down from generation to generation and is similar to a legacy that develops within the family. During weddings in Turkey, there is a special tradition of preparing oriental coffee. 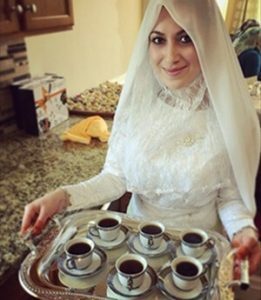 In particular, during a typical Turkish wedding, the bride prepares coffee to the mother of the groom. She, then, assesses all the qualities and in the presence of the groom gives her verdict, deciding whether the future bride will be a good wife for his son. The groom is then also served a cup of coffee, containing salt. According to Turkish tradition, the groom must take the cup and taste the drink without hesitation. After tasting the liquid, the groom can also give his verdict on the qualities of coffee. Curiously, in the past, marriages have been annulled because the bride’s coffee was considered “insufficient” by the groom’s mother. The Turkish Coffee is probably the most popular hot drink in Turkey. There is even a museum in Istanbul dedicated solely to the preparation of this beverage. The museum, created at the Museum of Turkish and Islamic Arts, offers visitors the opportunity to learn the whole process of preparing the beverage, inviting them to taste the result of their efforts. At the end of the preparation, even a certificate is obtained confirming that a course has been held at the museum. In Europe, Turkish Coffee was widely spread after 1683, when the Vienna Battle took place. In that battle, the army of the Holy League, led by the king of Poland Sobiesky, defeated the Ottoman army, headed by Kara Mustafa. Abandoning their positions, the Turks left large pantries of coffee with proper preparation instructions. 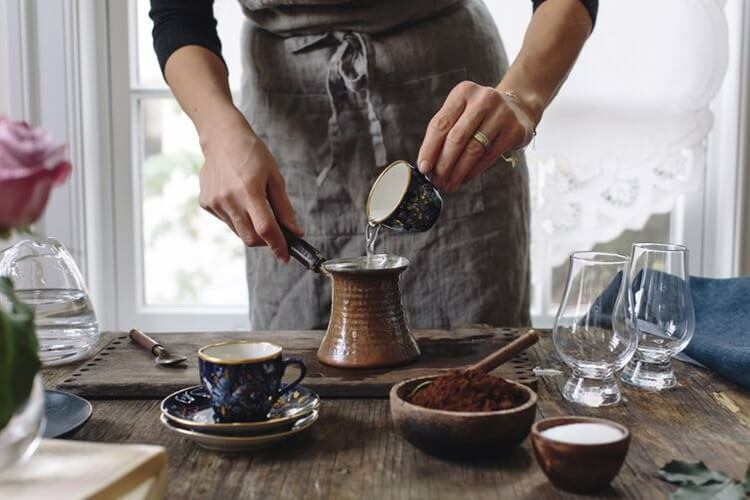 As a result of this event, the secrets of Turkish Coffee preparation spread throughout the Old Continent. Vienna was the birthplace of the first cafes where coffee could be drunk: Viennese cafés. Turkish coffee is now widely spread all over the globe and is made even in countries as far away as Ecuador or Japan. In Europe, the Americas and Asia, this beverage is called “Oriental Coffee” or “Turkish Coffee”. In other cases, the name is associated with the country of origin. So, you have the Greek, Bosnian, Albanian or Bulgarian coffee. Among the countries in which this beverage is widely distributed, there are Albania, Armenia, Azerbaijan, Bulgaria and Bosnia and Herzegovina. In the past, these were all important Ottoman colonies. 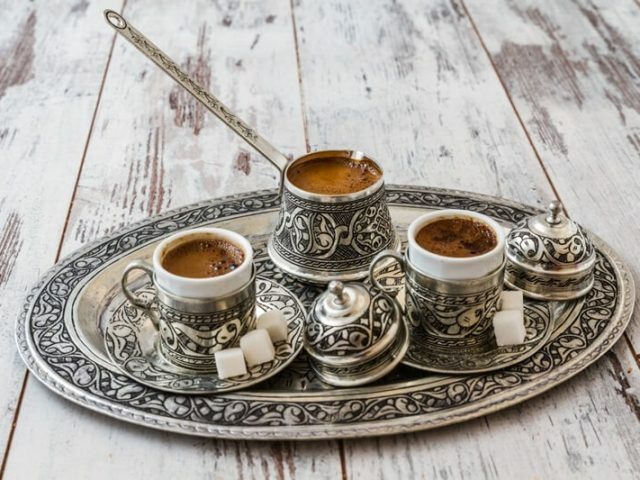 To a lesser extent, Turkish Coffee is also prepared in Northern Cyprus, Greece, Croatia, Iran, Israel, Cyprus, Kosovo, Macedonia, Romania, the Southern part of the Russian Federation, Serbia, Slovenia and the Southern part of Ukraine. According to the Oriental Tradition, Turkish coffee is mainly taken in the early morning, immediately after breakfast. The drink must be drunk in small sips, to taste all the qualities contained in the coffee. Drinking it too quickly is considered a mistake of no small importance. Generally speaking, you do not match Turkish coffee with anything. In some countries, it is customary to supply a small chocolate with the cup of coffee. Usually, it is necessary to eat it immediately after drinking the cup of coffee. If the guest or client takes the glass of water first, it means that he is thirsty and hungry. In this case, the host must give him something to eat. 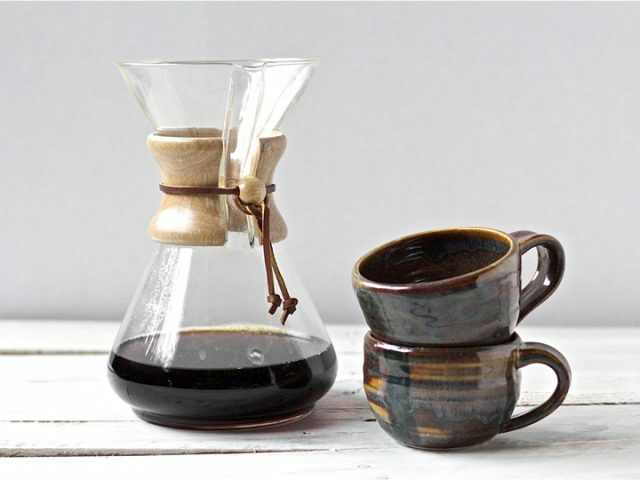 If he drinks coffee first, the host must ask him if he would like to have another cup or if he would like to accompany the coffee with a chocolate. If the guest touches the glass of water first, the coffee is taken away and waits for the guest to finish his meal. If the coffee cools down while the guest is eating, another cup must be prepared. Heating the same liquid twice is not recommended.